The fantastic “Feerie” cabaret review at the Moulin Rouge brings together an extensive troop of performers, including 60 beautiful Doriss Girl Dancers recruited from all over the world, costumes created in Paris’s prestigious studios, and stunning rich colour stage sets created by Italian artists. The world of rhinestones, feathers, and sequins is truly enchanting! 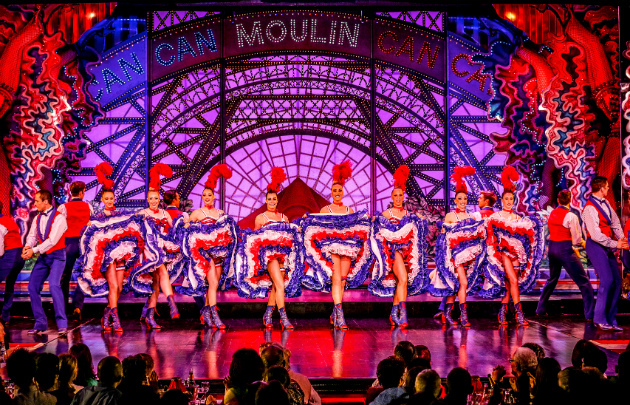 Enjoy the show at Paris’s greatest entertainment venue with Champagne. 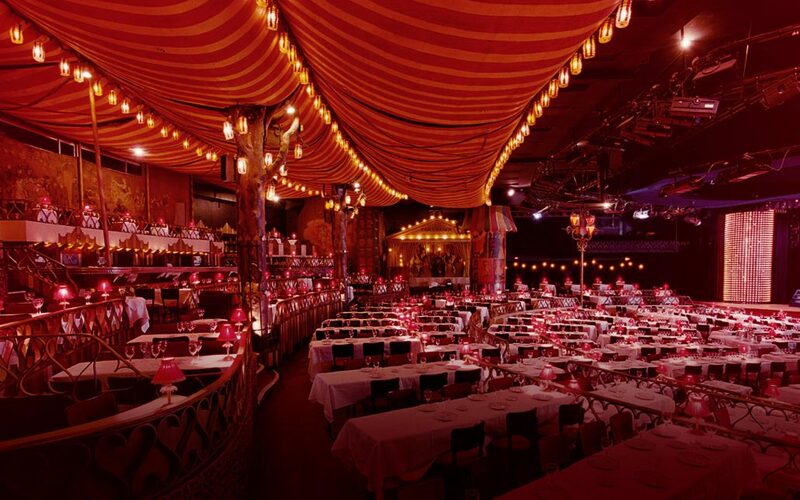 Dinner ( option ) After a delicious dinner, you will watch the spectacular “Féerie” show at this legendary Parisian cabaret. You will marvel at the beauty of the Doriss Girls and their lavish costumes, not to mention the sumptuous decor which showcases the stage and lends the room a singular atmosphere. The performances unfurl at a boisterous pace: you will be blown away by the numbers ‒ each more extraordinary than the last ‒ set to recorded music and live music played by an orchestra of 80 musicians and 60 chorus members. 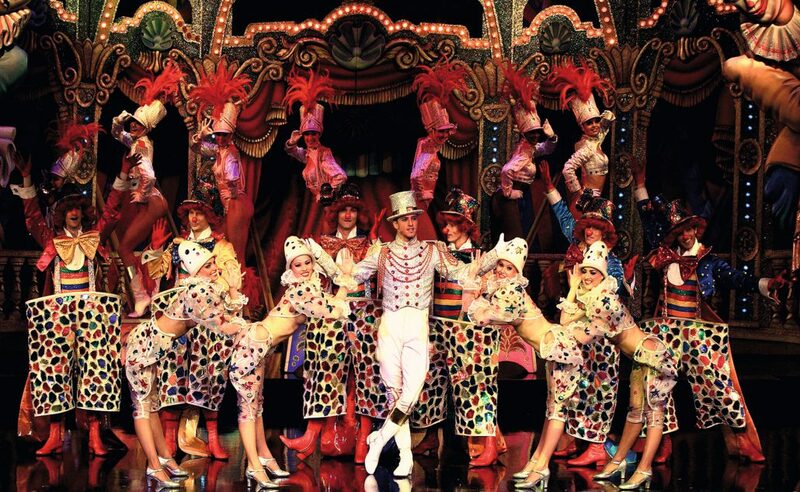 – For the Moulin Rouge Ticket : you will receive a confirmation of your tour reservation by email, as well as a voucher. Print the voucher and give it to our representative at the Moulin Rouge security desk 30 minutes before the started time. – For the City Tour ( offer by Paris City Vision ) You must provide a paper copy of the voucher. 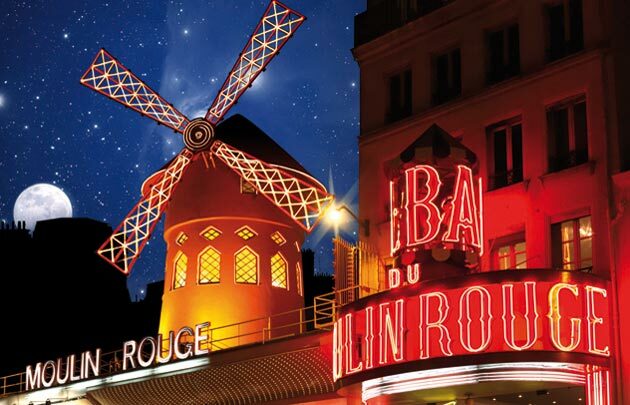 You must contact Paris City Vision to reserve your tour by Phone +33 (0) 1 44 55 60 00 , you can reserve the tour before or after the Show date of your choice. You will receive a confirmation of your tour reservation by email, as well as a voucher. Print the voucher and give it to our representative at the Moulin Rouge security desk minimum 30 minutes before the stated time. For the City Tour you must provide a paper copy of the voucher. You will then receive a ticket to give to our agency when you depart for your city tour. You must contact us to reserve the time and date of your choice.